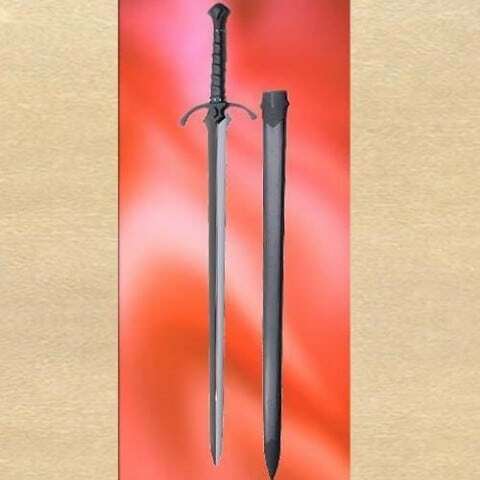 Beautifully balanced and balanced war sword. Most likely used to slay dragons and evil beasts in the spaces of time. 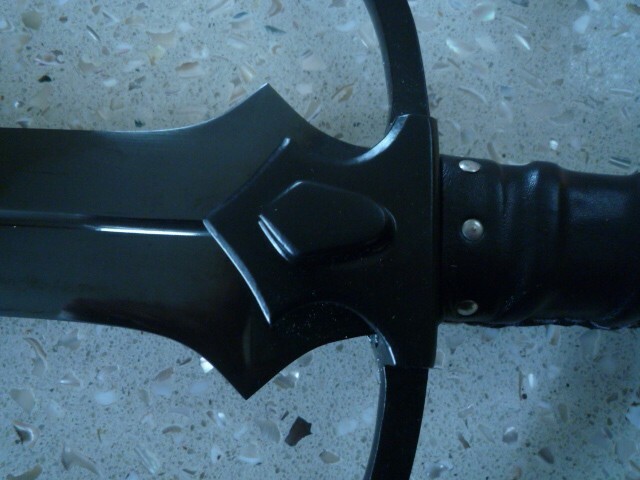 Blackened parts including a high carbon steel blade blued to a fine black luster. 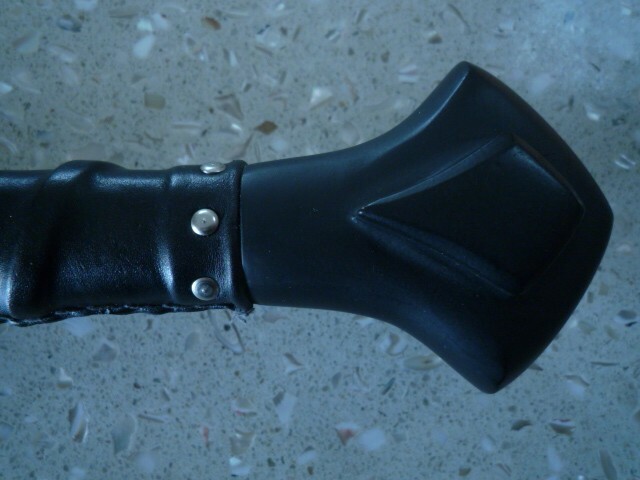 Black leather wrapped wood grip has a secure grasp. 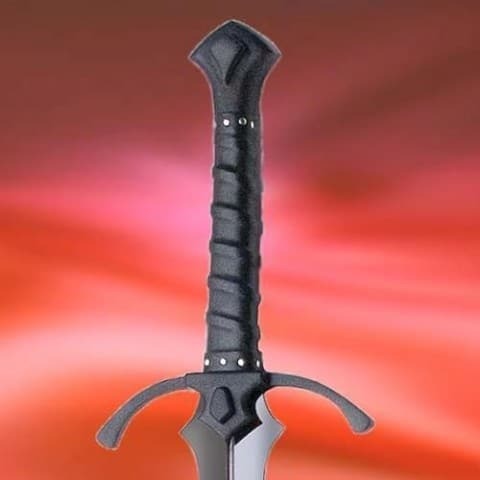 Comes with a matching black leather scabbard and black parts.